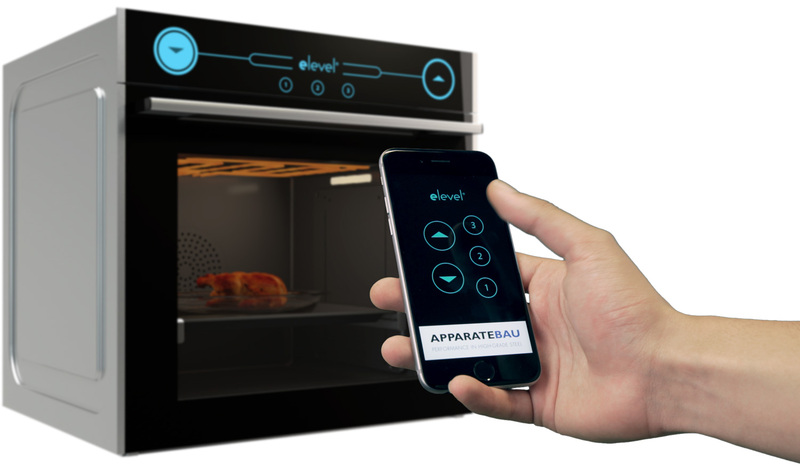 The elevel® system from APPARATEBAU transforms ovens into interactive and intelligent household appliances. The innovative and electromechanical height adjustment of the grate and the elevel® drawer runners makes it possible to use the rack levels in the oven without restriction. In conjunction with the core temperature sensor, the cooking program determines the optimum height position of the baking tray and moves it to it automatically. In addition, digital baking is now possible with the smartphone: Minutes before the end of baking, your smartphone reports and informs you that the baking tray is now raised with the pull-out rail to the grill. Your industry customers can now decide which baking result is best for them by simply configuring the desired cooking level on the app. 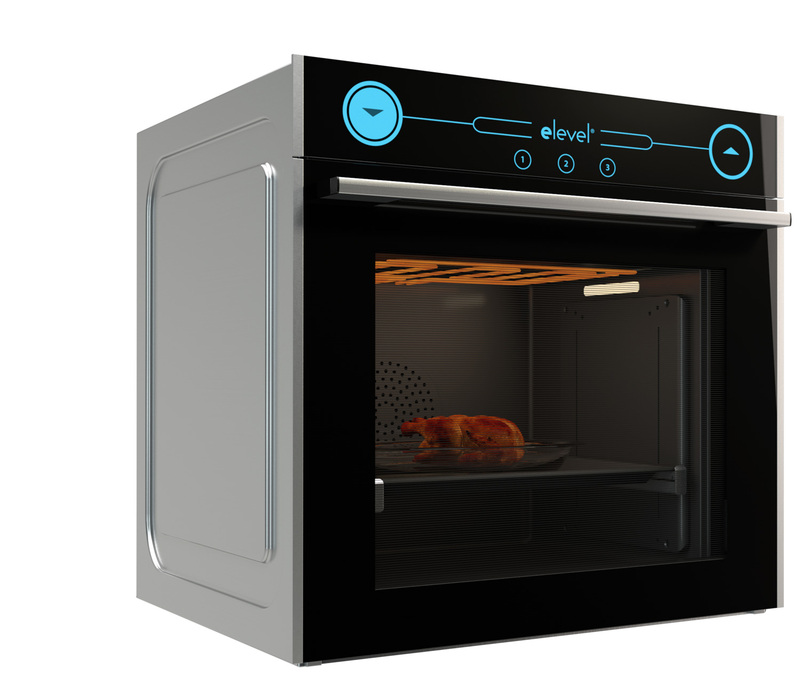 The elevel® system can also be connected to the ehinge® hinge developed by APPARATEBAU, which automatically opens and closes the oven door by touching a sensor. In combination with a special baking program, the oven door with hinged hinge even opens automatically at a defined angle of inclination after cooking. This allows the food to cool down optimally.